Down on confidence following an inconsistent run of results in the League, it was Kiwi import Ethan Gailbraith ? on as a second-half substitute – who stole the headlines with a sensational second-half double to cancel out Robbie Younis? 25? minute penalty. Gailbraith?s second was an absolute screamer, as the lanky striker showed skill and a powerful shot to leave the White Eagles? supporters in complete silence. Unfortunately for the two goal hero, he was to turn villain in the final minute of injury-time as he picked up a second yellow card and will consequently be out of the Cup Final next weekend. It was the visiting Tigers to create the first opening of the night as Adam Casey appeared to steer his diagonal attempt past Andrew Bazi in the Bonnyrigg goal. With the White Eagles defenders retreating, Bonnyrigg thwarted the danger with a swift clearance. Bonnyrigg?s response arrived immediately via Chris Payne who showed his speed down the right-flank. The former A-League striker however, failed to centre to a teammate. Despite the 18-points separating the two sides on the League ladder prior to the match, the Tigers took the game to the high-flying White Eagles with some fine ball movement in the middle of the park by Adam D?Apuzzo, Michael Hawrysiuk and Mun-Soo Gil. Hawrysiuk was one of the best on the park with his energetic performance for the visitors. APIA-Leichhardt however did get caught out following a string of passes that ended back at the feet of Anthony Costa. The Tigers? shot-stopper?s poor clearance gave the White Eagles a chance to pounce as Payne again was sent through on goal, denied only by the flag of assistant referee Sarah Ho. Bonnyrigg?s best movements arrived via their midfield pairing of Aleksander Canak and Adrian Ucchino; the latter looking comfortable on the ball for his side. On 14? minutes, the Tigers created a neat headed chance for Casey, however the delivery from the right carried a little too much punch as the APIA-Leichhardt striker could only divert his header over the crossbar. In the 17? minute, the home side again looked dangerous with a swift counterattack. Chris Payne was once more the main participant when he was released down the right. The speedy striker got to the byline showing strength and agility, though his cutback effort into the penalty-area again failed to find a teammate. 2? minutes later, Canak tested Costa with a shot from the edge of the penalty-area. The attacking midfielder lined up his effort nicely though failed to hit it with any conviction as the shot-stopper made a routine save. APIA-Leichhardt responded with a set-piece from the right as Andrew Bevin got his first look-in for the match with an attempted header that finished off the mark. The home side found its opener via the penalty-spot on 25? minutes. Chris Payne was sent through on goal before being denied by a brave Costa save at his feet. The shot-stopper then bravely denied Younis? follow-up attempt before the striker was fouled by Hawrysiuk challenge. Younis was deadly with his finish from the spot, driving the ball straight down the middle to send the Bonnyrigg supporters into raptures with a goal against his former club. Younis nearly doubled his, and his side?s, tally in the 32? minute as he latched onto Chris Tadrosse?s set-piece delivery from the left. The looping ball managed to find its way through to the striker who sent his glancing header inches wide of the mark. The visitors closed the half on the front foot with a massive amount of possession though the final ball in the attacking third was constantly dealt with by the always impressive young defender David Vrankovic who marshalled the White Eagles defensive line to perfection. In the final chance of the half on 44? minutes, Ben Spruce sent his header from a Tadrosse corner delivery wide of the mark after showing great strength and agility to out-jump his marker. Following the half-time interval, Younis should have doubled his side?s lead. After receiving a neat square pass on the edge of the penalty-area, and with the goal at his mercy, the striker blasted his attempt wide of Anthony Costa?s left-hand post. Bonnyrigg striker Payne stung the palms of Costa with a ferocious drive from close-range in the 63? minute, though the Tigers? shot-stopper was brilliant in diverting the ball away before his teammates got their bodies behind the ball to thwart Younis? follow-up. Bonnyrigg did have the ball in the back of the net shortly after via Payne, though referee Stephen Lucas was quick to spot the linesman?s flag and correctly brought play back for a free-kick. APIA-Leichhardt substitute Ethan Gailbraith attempted to get his side moving in the right direction with a mazy run on 70? minutes, though the tall striker weaved his way into some trouble as the Bonnyrigg defenders shut down his run. APIA-Leichhardt?s possession in midfield, and persistence, finally did pay off in the 78? minute as Gailbraith drew the visitors level. A pin-point delivery from Stephen Kayes on the right was powerfully headed home by the Kiwi import, leaving Bazi helpless. Gailbraith became the Tigers? hero with 5? minutes remaining as he found a stunning winner for his side. The striker showed poise on the ball to turn his marker and enter the penalty-area before blasting a venomous drive into the back of the net. With the momentum completely in favour of the Tigers, Gailbraith uncharacteristically saw his near perfect evening turned on its head. Deep into injury-time, the striker kicked the ball away to buy some time for his side and was correctly shown his second yellow card for his efforts. The sending off is a huge blow for the striker and the Tigers who will be without their front man for the Waratah Cup Final showdown against Sutherland Sharks. ?I am very happy for the boys, they really did put in a massive effort tonight,? commented Turner. ?To come to Bonnyrigg and take three-points is tremendous, and I really think we deserved it tonight. ?We were down a goal, and that was a penalty, and we managed to turn the match around. I told the boys to keep digging deep at half-time, and we managed to get the win.? ?The win was important obviously as we head into the Final of the Cup, though I told the players this week that I did not want to hear any talk of the Final at all? My concern was this match tonight,? explained Turner. ?We needed to focus on this match and look to move up the ladder, so we did that very well tonight. This week we can start looking at the Cup Final.? ?I spent quite some time at Bonnyrigg, so to walk away with the win and bragging rights is definitely something I am pleased about,? Turner ended. ?APIA-Leichhardt I thought played a very good game today, and they took the chances that came their way so I can only applaud their efforts for the win tonight,? Brown commented. ?We didn?t get going the way we wanted, and to lose at home is disappointing, though we will be looking to bounce back next week.? ?To be honest, I haven?t been following the League ladder, I am not looking at that. Even if the lead is cut down after this weekend, we have the catch-up match against South Coast Wolves next weekend, so we will be looking to get things right at home on Saturday night and make further progress on our work so far,? concluded Brown. Yellow Cards: Ben Spruce 52? Yellow Cards: Michael Hawrysiuk 64?, Ethan Gailbraith 75?, 90?+2? Red Cards: Ethan Gailbraith 90?+2? ?I went from the U/13s at Rockdale to the U/14s at Sydney University and then went to Sydney United 58 where I played until re-joining Rockdale. ?I arrived two weeks before the current season started but was made to feel really welcome by everyone so that helped me to settle in quickly.? At Sydney United 58 he won the Under 20 Premiership and was also part of the 1st Grade Runners-up side last season and the experience of that stands him in good stead as the Suns make steady progress up the table during the current campaign. ?Winning matches breeds confidence and after a slow start this year we have shown we can mix it with any club on our day and the recent wins against Sydney Olympic (home) and Blacktown City (away) have confirmed this to us.  ?We are all working for, and respect each other which makes us more determined to get results and Mark (Coach Mark Rudan) has helped instil this in the side. ?Now we come into training and games with self-belief that we were perhaps lacking earlier in the season. The partnership that has developed between Norval and the defenders has grown into a solid unit. ?We all have the confidence in each other to back ourselves and know where everyone is on the pitch and that is something that only grows with playing together and I feel we can still improve as the season goes on. ?Each of us knows what is expected and what we need to do and the winning mentality we have had instilled in us is something we want to keep going.? Joining Sydney FC?s Youth team last year is something Norval rates very highly. ?It has to be one of the best experiences for me to date in my career and I embraced the opportunity. ?All the ?keepers trained together and Ivan Necevski helped me a lot and is someone I can call if I ever need advice on anything which is a huge bonus. ?Zeljko Kalac, Sydney FC?s Goalkeeper coach, is someone I owe a great deal to with what he has done for me. ?When I went to Sydney FC it was a real eye opener and made me press the re-set button and obviously it is something I want to further add to. Going there last year I was seen as one of the ?older? players in the youth team at nineteen but the experience of that environment cannot be underestimated.? With Rockdale sitting just outside the Top Five slots with a game in hand, at time of writing, it must be hard to repress thoughts of Final?s football. ?The coach has all of us totally focused on the next game and nothing more. ?We train for the next match and plan the tactics accordingly and don?t look further than that to be honest but we all think to ourselves how the season has gone for us so far and perhaps quietly ask ourselves why can?t this run can’t continue. ?It?s an exciting time to be at Rockdale and I?m enjoying every minute of it, my team mates, the coach, the Board and the crowd are making it a pleasure and the football we are playing is the icing on the cake, so if you ask me where can we finish I can only answer let?s see after our final game and then I can tell you,? he ends with a laugh. Rockdale certainly have the belief and ability to ?do the business? this term and in some style but also they can ?mix it? if the situation dictates and to date have shown a spine that has been lacking in recent seasons so as the annual NSW Premier League roller-coaster ride continues to its conclusion, perhaps the time is now to stand up and take notice of the Suns. The NSW Premier League leaders drew first blood through Alex Mansueto in the opening minutes before the hosts hit back in the second-half via Blake Powell?s placed header. Bonnyrigg were first out of the blocks, pressuring the hosts right from the outset; Alexander Canak making a nuisance of himself to force the Sutherland defence into conceding an early corner. The visitors were immediately rewarded for their early ambition as Sutherland failed to clear their lines, allowing Mansueto to beat a host of players to the ball to side foot home the opening goal. Sutherland looked to respond immediately, pushing forward in numbers as the match?s early intensity continued. Both sides let fly with a series of crunching tackles in an intense physical battle, resulting in bookings for Nick Stavroulakis and David Vrankovic while Mansueto required an early substitution having coming off second best in a heavy 50/50 challenge. Matt Gordon found time and space on the left wing to deliver a threatening cross into Bonnyrigg?s 18-yard box only to be denied by a fine intervening header by Chris Tadrosse. Only a brilliant save from Nikodin Matic stood between Chris Price and an equaliser soon after; the nomadic attacker flicked Panni Nikas? cross goalward only to see the Bonnyrigg custodian?s reflex save pry the effort away from goal. Sutherland continued to carve out opportunities in front of goal only to see Price drag an effort wide before Gordon?s goalbound header was well held by Matic. While the hosts continually tried their luck from range, Nikola Zonjic gave the home fans a scare at the other end as he weaved through the heart of Sutherland?s midfield and rifled an effort just over the crossbar from 30 yards. The match threatened to boil over late in the half as tempers flared and tackles began to border on downright dangerous, with Canak and Gordon seeing yellow late in the half as Bonnyrigg held their slender lead going into the interval. Brian Brown and Robbie Stanton?s half-time team talks appeared to have a calming effect on their respective teams as the wild challenges of the first half made way for a free flowing second-half. The hosts continued to press forward in an attempt to wear down the Bonnyrigg defence and were rewarded with the equaliser as Matt Bailey found Powell unmarked at the far post; the winger rose to guide his header past Matic and send the home fans into raptures. The ball soon became bogged down in a midfield battle that saw attacking chances few and far between. With the match rolling into the final quarter of an hour substitute Chris Payne managed to created space for himself only to see his effort deflected wide while Tadrosse found Ben Spruce with the following corner; the defender hooked his header just over the crossbar. The near miss sparked Sutherland back into life as Nikas pulled a shot wide on the turn before Stavroulakis? low drive drew a confident save from Matic. Robbie Younis came within inches of restoring the visitors lead soon after, launching a low and powerful effort just wide of Nathan Denham?s near post. Gordon could and possibly should have been the hero for Sutherland at the other soon after, volleying well over the crossbar from around the penalty spot as the match drew toward an end. With neither side able to find a deciding goal in added time the fulltime whistle a close to an entertaining and fairly evenly contested fixture that could have gone either way. ?I?m happy with the performance but I think the result was a bit disappointing,? said Stanton. ?I thought we had enough chances to clearly win it. ?We restricted them to just a few chances and created enough to win the game three or four times. ?It was a nice and dominant performance in the end. ?There are a few things you have to do to counter them with their style of football. ?We weren?t prepared to change our football philosophy, but there were a few actions we changed that I think in the end made a massive difference. ?In the end I think that?s how we got the goal and I thought. ?I?m very happy tonight as the performance was what we?re after. ?Usually if you get the right performance you get the right result and tonight we have to be disappointed that we couldn?t get the win.? ?Blake is a fantastic kid,? remarked Stanton. ?We?ll probably lose him to the A-League in time; he is very multitalented and would be a good player to pick up. ?He had a great game tonight; I think a lot of our players had a good game like Tyson (Rhodes) at the back was rock solid for us, and so was Yianni (Fragogianis). ?Yianni is a different player in the way he holds the ball and his distribution for me is amongst the best in the competition.? ?I?m happy with a point,? said Brown. ?I think after missing a game last weekend we looked a bit short in the game and a few boys had a bit of an off night tonight. ?Anyway, Sutherland are a good side and they made it tough for us.? ?Chris is outstanding every week,? said Brown. ?He?s certainly got the ability to play at that level.? Yellow Cards: Nick Stavroulakis 12?, Matt Gordon 42? Yellow Cards: David Vrankovic 18?, Alexander Canak 40? The 21-year-old has already knocked in three goals for 2012 during his time with Manly United but is looking forward to continuing his football career with Brian Brown?s squad. Payne will spearhead a pretty decent attack at the White Eagles which should see him partner current NSW Premier League top scorer Robbie Younis. Payne will make his debut with the club in their round 13 NSW Premier League clash against Sutherland Shark sat Seymour Shaw Park this Saturday evening. Meanwhile, White Eagles keeper Ben McNamara has taken up trials overseas leaving Bonnyrigg with Andrew Bazi and Nikodin Matic fighting out for the number one jersey.